Myanmar leader Aung San Suu Kyi on Monday (Jan 28) urged global investors to put their money into Myanmar, seeking to offset the negative impact of the Rohingya crisis and slow pace of economic reforms. The Mandalay regional government has launched a data centre as part of its efforts to implement an e-government system. From April to December, 2018, the fish export prices are relatively low compared with the same period last year, said Win Kyaing, Secretary General of Myanmar Fishery Federation (MFF). Myanmar forest authorities have seized 63 tons of illegally harvested timbers from a forest reserve in southern Bago region. City Mart Holding Co Ltd (CMHL) in conjunction with Sandanila Investments will be launching the City Invest Fund, which will be an investor and partner to small and medium-sized enterprise (SME) food manufacturers. The PTT Exploration and Production Public Company Limited (PTTEP) has announced a five-year investment plan (2019-2023) to add value to legacy assets through exploration and production (E&P) activities and to support investment opportunities in areas rich in petroleum to sustain the company’s long-term growth. A new direct flight linking the border city of Mangshi, in southwest China’s Yunnan Province to Mandalay of Myanmar will be launched at the end of this month, Xinhua reports. The Myanmar government is planning to establish a coast guard under the control of the civilian government, not the military, according to Union Minister for Transport and Communications U Thant Sin Maung. With plans to set up a joint venture for eel farming in the Mandalay Region, a group of 15 businessmen from China met with local entrepreneurs in the first week of this month to discuss the market conditions and stages of farming, according to the Agriculture and Market Information Agency. Yoma Strategic Holdings has raised THB2.3 billion (US$70 million) from Thai institutional investors in the first foray of a Myanmar-focused company into the corporate bond market. 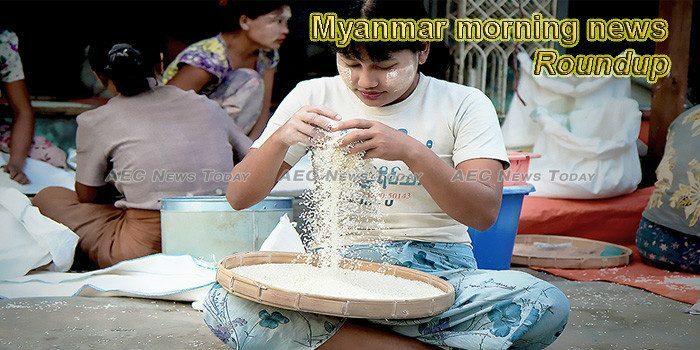 Chinese arrivals in Myanmar increased by 38 percent last year compared to 2017, and topped the list of travelers to Myanmar, deputy director-general of the Ministry of Hotels and Tourism, Daw Khin Than Win, told The Irrawaddy. Foreign Minister AK Abdul Momen has sought China’s “strong support” so that Myanmar moves in the “right direction” for resolving the Rohingya crisis. Two young girls taking photos on the top of a waterfall in Kawkareik, Myanmar’s south-eastern Kayin state, fell down and died, the official Global New Light of Myanmar reported on Monday (Jan 28). The two-day Invest Myanmar Summit 2019 kicked off here Monday to provide local and international investors with opportunity to explore investment potential in the country. A Lancang-Mekong Cultural Exchange Youth Camp was launched in Myanmar’s northern city of Mandalay Monday with the aim of enhancing cooperation between cultural groups and youth artists from six Lancang-Mekong countries. The Department of Archaeology and National Museums is ready to answer questions on the Bagan heritage area from the International Council on Monuments and Sites (ICOMOS), says the department’s director. Myanmar soldiers and rebel Arakan Army troops exchanged fire for four hours Monday morning near Ohn Chaung village in restive Rakhine state’s Rathedaung township, with soldiers returning with border guards later in the day to search and loot homes, residents said. More locals from villages in upper Yochaung area in Kyauktaw Township are abandoned their homes as they have been restricted by the army to carry food supplies, sources said. The South Korean-owned bag-manufacturing factory, CMF, has warned striking workers to return to work by Tuesday or face dismissal, a senior company official said on Sunday. Daw Aung San Suu Kyi’s legal adviser U Ko Ni was assassinated two years ago today, but the perpetrators have yet to be brought to justice. Yoma Strategic Holdings has priced the first cross-border bond issuance by a Myanmar-focused company in the Thai capital market amounting to 2.22 billion baht (US$70 million).